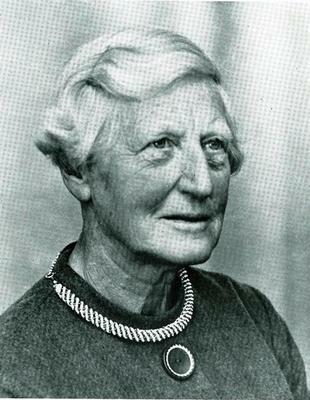 Sheina Marshall worked at the Scottish Marine Biological Association's marine station at Millport, Isle of Cumbrae, for the whole of her working life and was one of the scientists who laid the foundations of copepodology. "landmark in the study of marine production"
Her studies of Calanus finmarchicus with Andrew Orr were of great significance to the economy of western Scotland as the copepode was part of the food chain for herring. Their research investigated the biology and physiology of Calanus, looking at aspects of its seasonal distribution, reproduction, and growth. During WW2. her research into native seaweed sources for agar, necessary for the production of certain vaccines, was also of considerable importance. Marshall, S. M., S. P. Orr. 1955. The biology of a marine copepod, Calanus finmarchicus Gunnerus. Edinburgh: Oliver & Boyd. Russell, F. S. 1978. Memoirs. FRS, 24: 369–89. World Changing Project, "Established a major marine research centre at Millport on the Firth of Clyde," in University of Glasgow World Changing (University of Glasgow, 2010); http://www.worldchanging.glasgow.ac.uk/article/?id=97 (accessed April 24, 2019). World Changing Project. "Established a major marine research centre at Millport on the Firth of Clyde." In University of Glasgow World Changing. University of Glasgow, 2010. http://www.worldchanging.glasgow.ac.uk/article/?id=97 (accessed April 24, 2019). World Changing Project. "Established a major marine research centre at Millport on the Firth of Clyde." University of Glasgow World Changing. University of Glasgow, 2010. 24 April 2019 <http://www.worldchanging.glasgow.ac.uk/article/?id=97>.